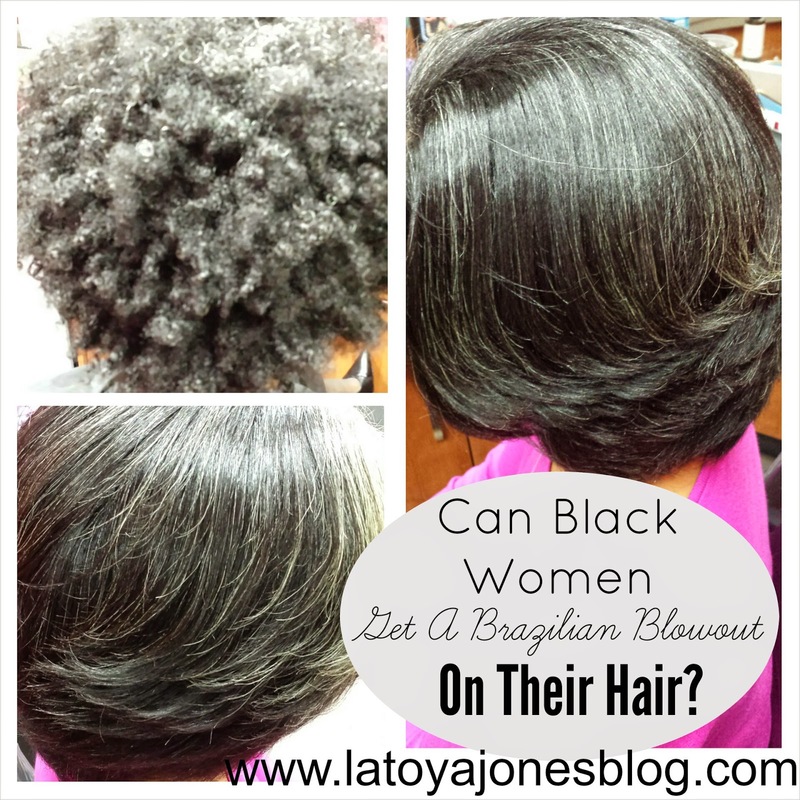 Can Black Women Get A Brazilian Blowout On Their Hair? I have been doing Brazilian Blowouts for a while now and one of the most common statements I have heard was "I thought that was only for white hair?" Well, the truth is that the product is not intended for specific ethnicities. Instead, it is intended for hair types. If your hair is naturally curly and you desire to have it straightened for a few months, or if you just want to take some of the curl out but not eliminate it completely, then this would be a great product for you. 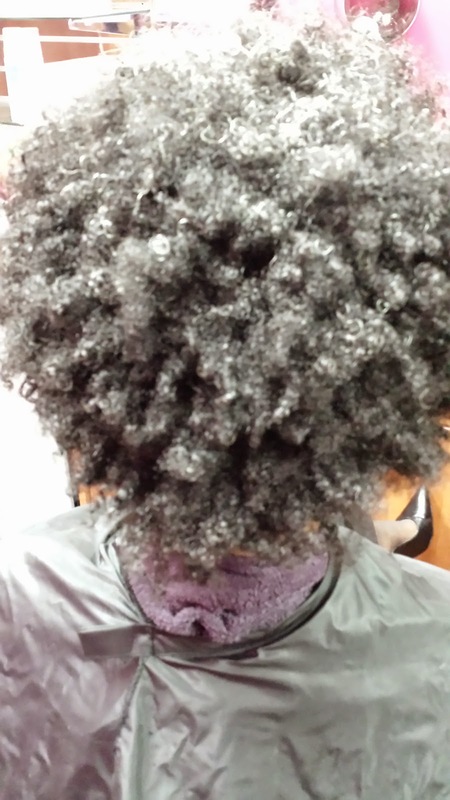 The client featured in today's post has naturally curly hair and some of the thickest hair that I have ever seen on one head. She was trying to make a decision on if she wanted to get her relaxer again or not. 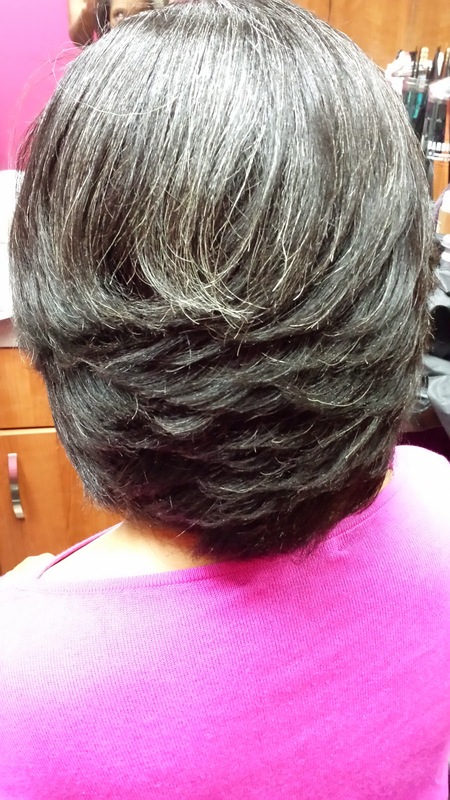 Doing the Brazilian Blowout allows her to see how she likes her hair straight without the actual commitment of a permanent relaxer. These are her after pictures. The good thing about the Brazilian Blowout is that it does last for up to three months, or twelve weeks. This client really liked her results and thinks she may continue to get the blowout instead of getting the chemical again. 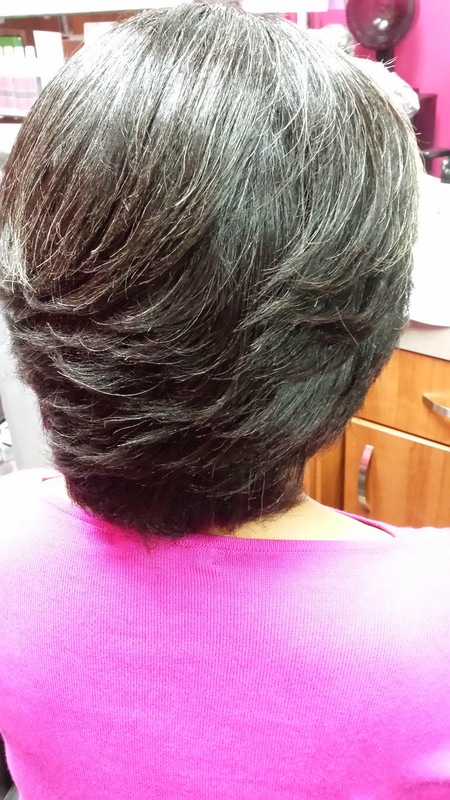 I recommend my relaxed clients get relaxers every four months and the blowout lasts for three, so you would have to decide how long you want to wait for each one. The only difference is that since the Brazilian Blowout is not permanent, once you do it over again, you do the entire head all over again. 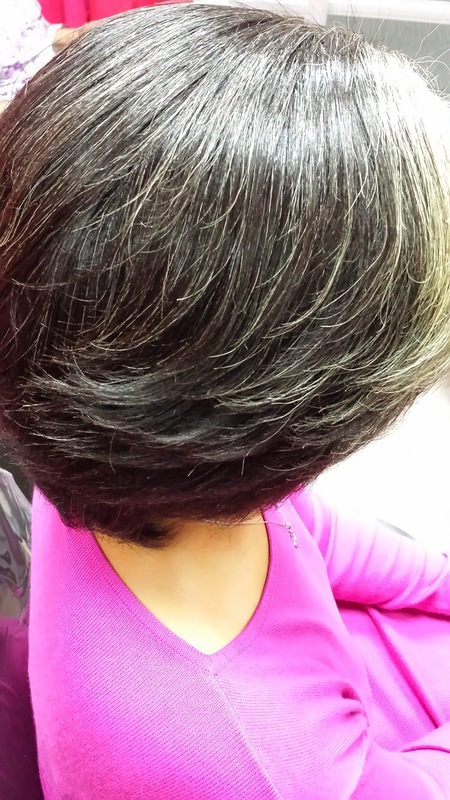 With the relaxer, you only have to do the new growth instead of doing all of the hair each time. I get both because since I relaxer stretch for so long (six months) the Brazilian Blowout allows me to still have straight new growth longer, and by the time it wears off it will be time for my relaxer again. So to answer your question, yes black women can absolutely get a Brazilian Blowout in their hair! And the next time you think of products not being for your hair, go by the benefits the product offers instead of generalizing it based off what you assume certain ethnicities use. And as always, keep your hair healthy! !